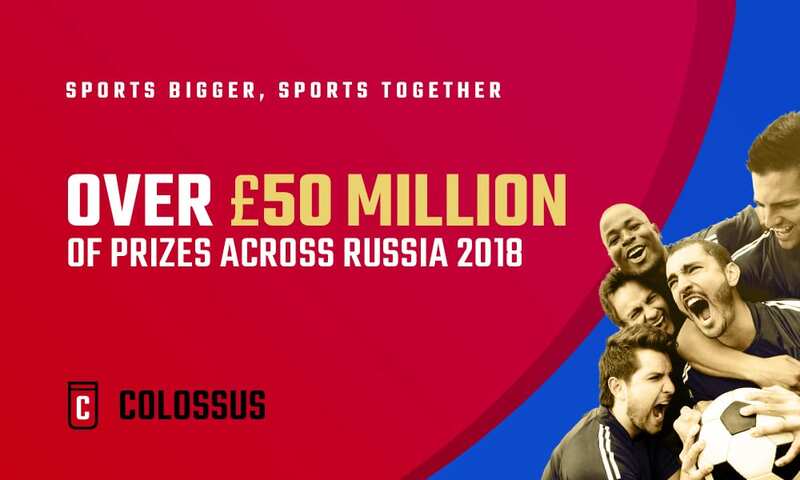 Unanimous AI, brought together views from regular Syndicate captains and footballing experts to form a “Swarm Intelligence” for the upcoming World Cup. Despite some spirited debate and argument on the finer points, this group of football experts found a great deal of common ground. 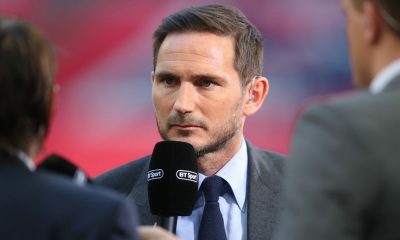 The group predicted group winners would have favourable matches in the last 16. For example, Germany would face Serbia and the defending champions were heavily fancied. Brazil look likely to draw Mexico, and the group predicted the match going to the Brazilians. 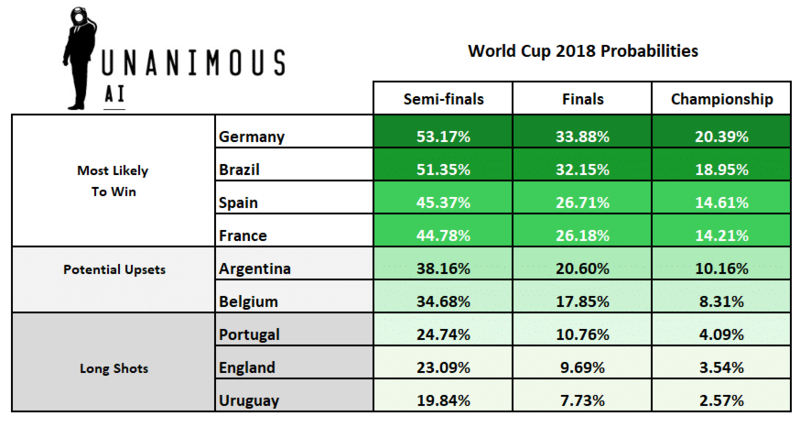 There were some closer matches also predicted with Group B runners up Portugal facing Uruguay; Ronaldo and co were very slightly fancied to progress. Similarly, England would face Colombia, with the Three Lions getting the nod to prevail. 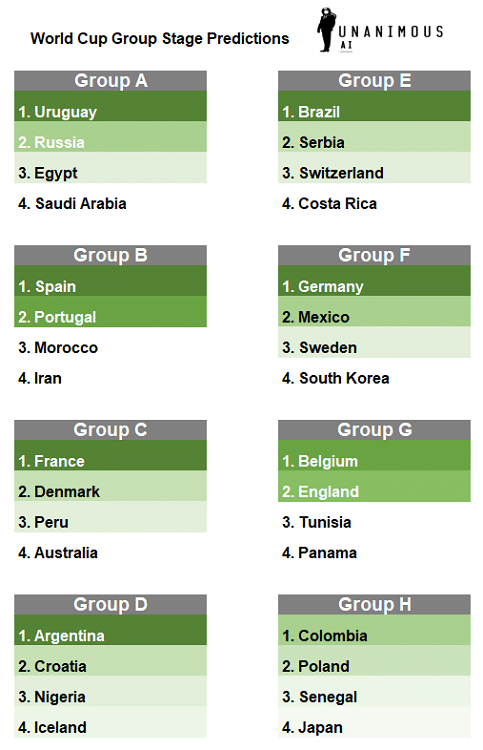 Perhaps unsurprisingly, Germany and Brazil were the favorites with our group. Spain and France tuck in behind those two sides as almost equally probable third-likely contenders. Argentina and Belgium were flagged up as potential dark-horses to lift the trophy.